Poole & Shaffery, LLP announced that Claudia J. McDowell, Esq. and M. Lisa Odom, Esq. will join the firm effective March 1, 2016. The McDowell-Odom legal team joins Poole & Shaffery as partners. Claudia McDowell, Esq. and Lisa Odom, Esq. Being part of Poole & Shaffery will continue the McDowell Odom tradition of providing excellent professional representation, while expanding the areas of practice that we can represent for our clients. “Our firm continues to experience growth within the areas we serve and Poole & Shaffery is aggressively adding highly-talented legal professionals to our team to accommodate demand,” said John Shaffery, partner and co-founder of Poole & Shaffery. Known as “The Law Firm for Your Business,” Poole & Shaffery recruits key attorneys with experience in large national and international firms. In her career, Odom represented multi-million dollar projects at high-profile law firms in Los Angeles, including Kirkland & Ellis and Sidley Austin, LLP. She has extensive experience representing large financial institutions and energy companies performing negotiations, due diligence, preparing loan agreements, construction and various other types of real estate agreements, leases and permitting documents, and reviewing entitlements. McDowell has extensive experience in federal and state securities and compliance issues under the Sarbanes-Oxley Act, and has served as general counsel for public companies as well as private companies. “Claudia and Lisa built a practice with an excellent reputation in the legal field, so when the opportunity presented itself to combine forces everyone agreed there was mutual benefit to operate under one roof,” Shaffery stated. McDowell practices corporate, securities and commercial law, and is highly skilled in mergers and acquisitions, and transactional negotiations. She attended the University of Denver Sturm College of Law, and received a Bachelor of Arts in International Relations from Florida International University and a Bachelor of Science in Computer Science from the same university. Admitted to the California Bar, the Colorado Bar and the United States District Court Bar, McDowell holds membership in the American Bar Association, Colorado Bar Association and Santa Clarita Bar Association, where she serves as president-elect/vice president on the executive board and received the Founders Award from her peers in 2014. “I believe that my diverse legal experiences as both a large law firm attorney, as well as an owner of a small law firm, will allow me to immediately contribute to Poole & Shaffery by bringing high caliber legal services to its growing business transactional practice,” said Odom. Odom represents numerous individuals, families, and small and mid-sized businesses with estate planning, trust administration and probate matters, contracts and business law matters, business formation and dissolution, asset sales and stock purchasing agreements, commercial and retail leasing matters, trademarking matters and complex real estate transactions. She graduated with her Juris Doctor from Pepperdine University School of Law and holds a Bachelor of Arts in Psychology with a minor in Law and Society from the University of California, San Diego. Admitted to the California Bar and admitted to practice before the U.S. District Court Central District of California, Odom is also a member of the Santa Clarita Valley Bar Association. In 2013, she was recognized as a ‘40 Under 40’ award recipient in the Santa Clarita Valley, and actively serves as a director for Single Mothers Outreach and co-chaired the Wine Affair for Soroptimist International of the Greater Santa Clarita Valley. 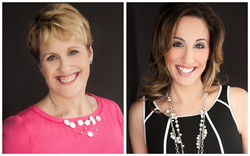 “Claudia and Lisa are a natural fit for our Poole & Shaffery family, and will complement our practice areas to serve clients,” stated Shaffery. For more information, visit http://www.PooleShaffery.com or phone 661.290.2991.